Villas Corcovado is a community of luxury vacation villas scattered throughout 70 acres of unspoiled jungle on the Southern Pacific Coast of Costa Rica. It is an extraordinary place for those who seek adventure and an up-close experience with nature, with its calm, rich flora and animal life in the inspiring framework of the Golfo Dulce, Peninsula de Osa. Unspoiled and virgin, the Osa Peninsula is one of the most biologically diverse natural reserves in the world. 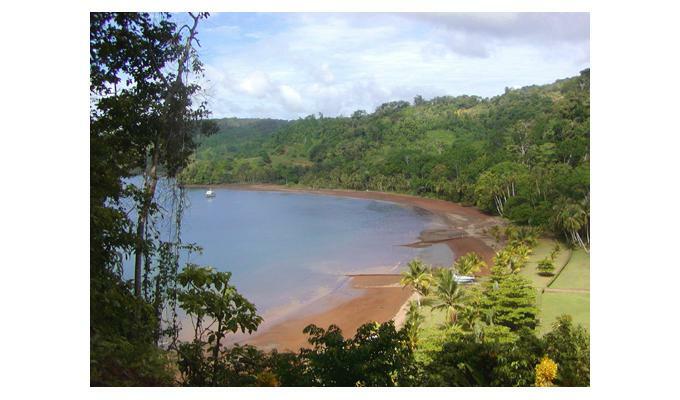 It's a land where the outstanding scenery of the tropical rainforest mixes with the richness and calm beauty of the Golfo Dulce and the Pacific Ocean. 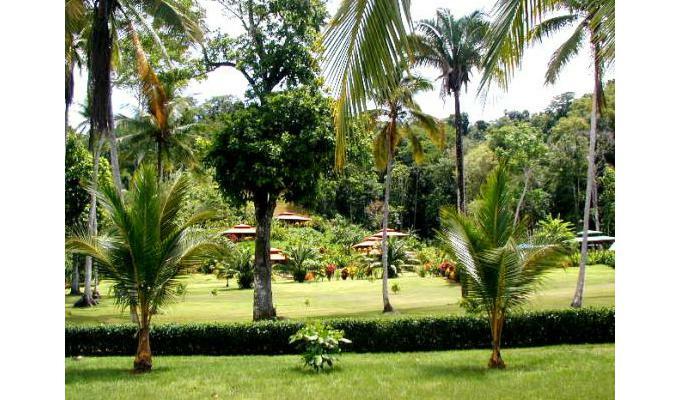 Villas Corcovado is strategically located on the Golfo Dulce Forest Reserve, Peninsula de Osa, between the Corcovado National Park and Las Esquinas and Piedras Blancas National Parks. Villas Corcovado is sited at sea level, with an average temperature of 26C (80F), and is tempered by light coastal breezes. Humidity tends to be high. The 8 villas rise high above the calm emerald waters of the Golfo Dulce and are scattered along winding paths to the pool and main lodges. Enjoy magnificent, unobstructed views of the Gulf and only hear the peaceful sounds of the jungle from your private open-air porch. Just overlooking the beach and the pool is the restaurant, which serves breakfast, lunch and dinner. The specials vary daily and the main menu always offers fresh seafood, homemade pastas, organic salads and dressing, locally grown fruits, fresh baked breads and desserts, and of course dishes with the local Costa Rican flare. Guests may tour the hotel's organic gardens and select their own fruits. Gourmet picnic baskets are prepared upon request for guests who choose to have lunch on one of the many nearby secluded beaches, or fishermen who embark on a full-day journey. Through years of research and tracking animals, biologists have declared this area to be a migratory path of species between the different national parks. This is part of the path called Mesoamerican Biological Corridor renowned for being one of the most biologically diverse places on earth. Guests can expect to see a wide variety of species including, macaws, parrots, toucans, monkeys, frogs, snakes, butterflies, pizotes, sloths, eagles, vultures, hawks, tepezcuintles and many more. Unlikely to be seen, jaguars are also part of the fauna, unfortunately in danger of extinction.